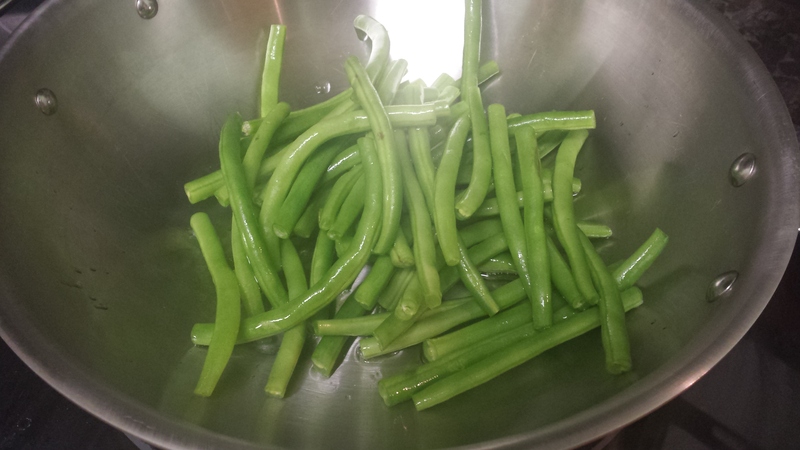 Here is a quick green bean recipe that is positively delicious. 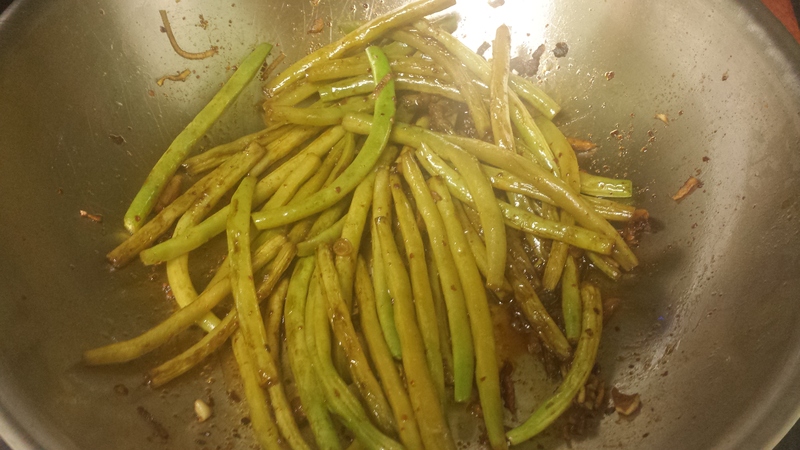 Sweet, spicy, and a little bit tangy make these Chinese-style beans go perfectly as a side dish for almost any Asian meal. I recommend pairing them with rice and tonkatsu, yummm. Quick note on this recipe. The original comes from the food section of about.com, but I haven’t been able to find it again. Unfortunately, I don’t think I’m going to be able to link to that recipe as a result. I have since made this recipe my own, but I always try to give credit to the original creator. Start by mixing the sauce. 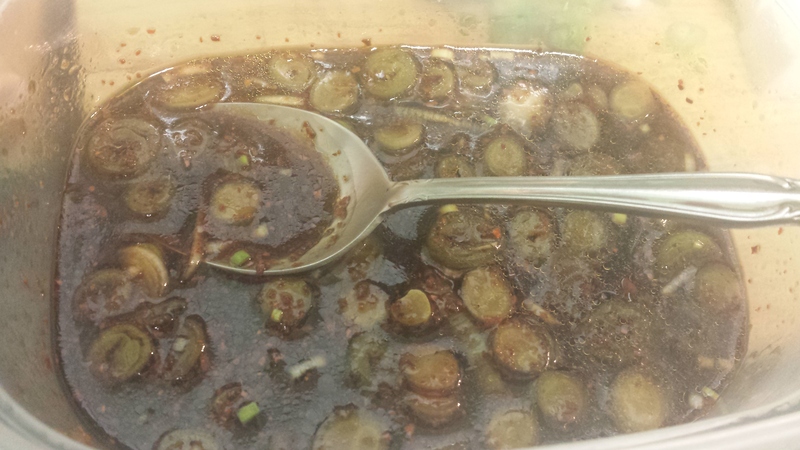 Add the scallions, chili paste, soy sauce, rice vinegar, sugar, and sesame oil to a small boil. Stir until the sugar dissolves. 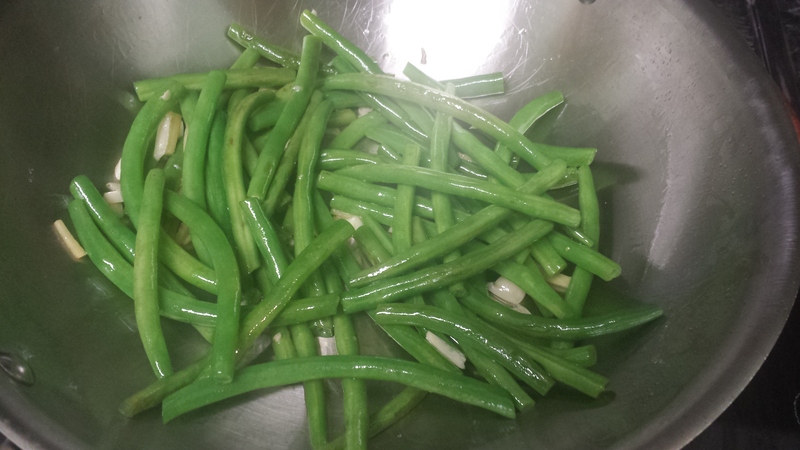 Next, we will dry fry the beans. Heat the vegetable oil in a wok set to high heat. When the oil is about to start smoking, it’s hot enough to add the beans. 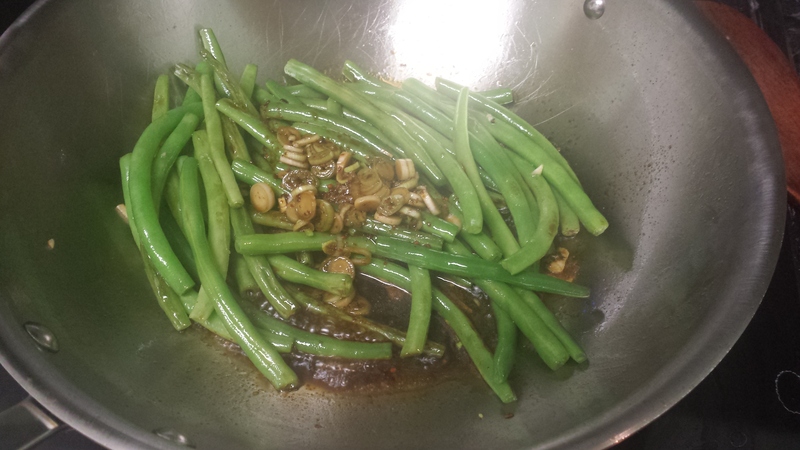 Add the beans and stir fry for 5 minutes. Next, add the garlic and ginger. Continue to stir fry at high heat for another 5 minutes. Your beans should be almost fully cooked by the end of this stage. It might take a few trials before you get the consistency just the way you like it. Next, add the sauce and cook for an additional 5 minutes. Your beans WILL YELLOW as they cook, this is normal so do not be alarmed. Serve immediately. Mmmm this recipe makes me really hungry.